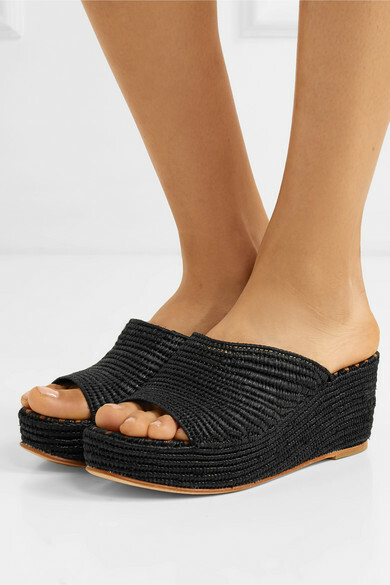 Carrie Forbes' line of sandals is inspired by the work of artisanal weavers in Morocco and made using the same time-honored techniques. 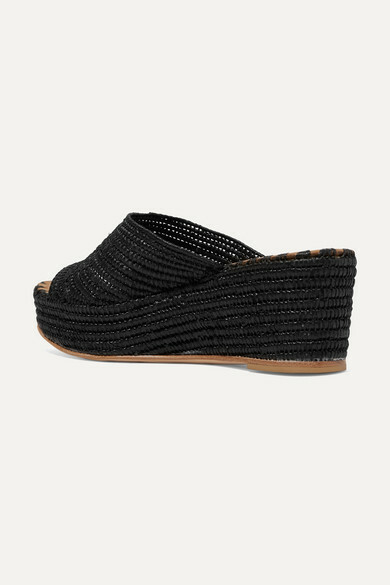 This ‘Karim’ pair is hand-woven from naturally dyed raffia and set on a leg-lengthening 55mm wedge heel. Wear yours with everything from flowy maxi dresses to denim shorts. Shown here with: Mara Hoffman Skirt, Mara Hoffman Top, Johanna Ortiz Tote, WALD Berlin Necklace, Sophie Buhai Earrings.